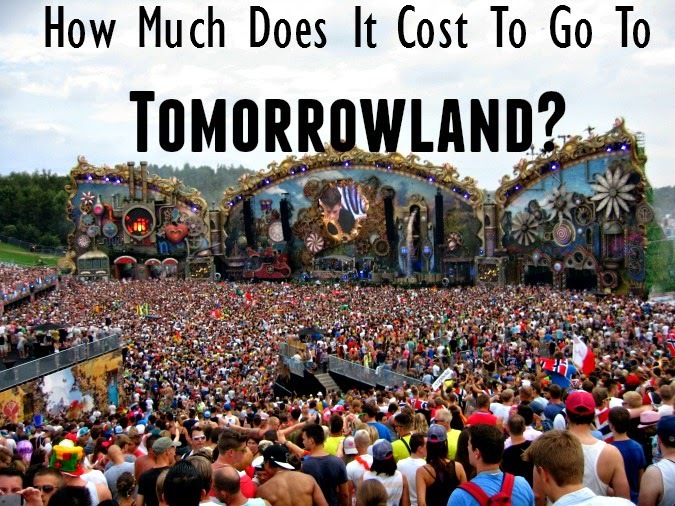 How Much Does It Cost To Go To Tomorrowland? Hands down the most popular posts on my blog are “How To Get To Tomorrowland.” (You’ll want to read this, especially if you just per-registered). Each year, more and more people flock to learn about this incredible festival. But the question that I’m asked time and time again: How much does Tomorrowland Cost? How much money do I need to bring? Since I’ve been to the festival the past four years, I’m going to do my best to break it down for you. Since I’m American, I’ve converted this over to euros. I am including the price of the flight to the festival, though I know some may take a train or a much shorter flight. But I thought it would help to see. ** If you haven’t read my post on “How To Get Tomorrowland 2018” start there. This will break down everything leading up to the festival, as well as what to expect when you get there. The cost of the flight for myself, from America (Texas) to Belgium, ranges a bit depending on when I buy my ticket. I usually aim to buy my ticket in February, even though I haven’t secured tickets to the festival yet. A round trip flight currently costs €999 or $1,185. The Tomorrowland ticket price depends on what you buy. For a day pass it’s €88 or $110 (Saturday sells out the fastest, usually). A Full Madness Tomorrowland pass is for all three days and is €225 or $272 for Worldwide Pre-sale or for Worldwide sale it’s a bit more expensive at €281 or $340. Remember, you can only buy tickets for up to four people. This is expensive, but in my opinion, totally worth it. There is also the option of doing the Tomorrowland Global Journey. This is pricey, but guarantees entrance to the festival. The price of Global Journey also includes round trip airfare as well as lodging: about €2000 or $2370. 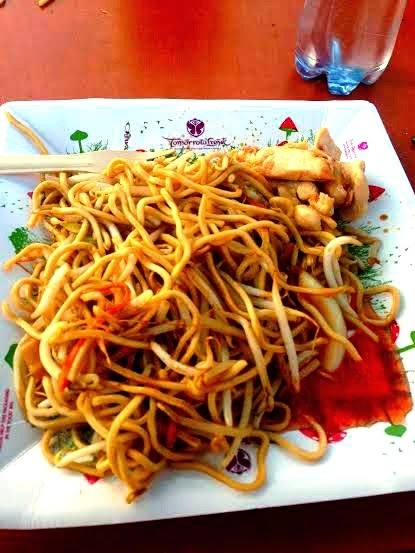 Surprisingly, Tomorrowland menu items are relatively inexpensive. They do not try to price gouge you. The way it works with purchasing anything is 2 per ticket. So if something cost 5 tickets, that’s really 10. French fries, for example are 2 tickers (so €4) while a Hamburger is 3 tickers (€6). To me, at a festival, that is not over-priced. Let’s say you have two and half meals (half for snacks) a day. Beer is the drink of choice served at Tomorrowland. My favorite being the cherry beer that my husband says tastes like medicine. Beer is 1.5 tickets, so €3 for a small, large 2.5 tickets or €5. Soda is also 1.5 tickets. This is all from the last three years so it could change. You can check out this blog for all the food and drink breakdown. I never camp. I know people love it, but it’s just not for me. I stay in a hotel. I recommend places to stay here. But generally you can expect to pay about €70 to €150 a night, depending on where you stay. If you stay in Dreamville there are a few options. There is regular camping which is €343 or $407 (this is including the ticket price) or comfort (recommend this!) which is €765 or $907 and also includes the cost of the ticket. Undoubtedly you’ll want to dress to impress. Bright colors, tank tops, jean shorts and flower crowns are sported throughout the festival. I try to keep my spending low on this and wear things from previous years or add a few new neon pieces to my wardrobe. I always travel after, so I try to pack extremely light. Here’s a idea of what to wear for Tomorrowland. Tomorrowland offers a plethora of items you can purchase at the festival. I usually never buy anything, but this past year I had to get the Tomorrowland hat. This was €35 or $42. So pretty steep! Shirts start around that price as well. Total cost for Tomorrowland = €1,745.50 or $2,069. I get this question probably once a week and I always say about $2,000, it wasn’t until I broke it down like this that I find that I’m actually right! My three years of Tomorrowland have been some of the most unforgettable experiences of my life. The money is totally worth it! Do you agree? Have you been Tomorrowland before? Do you think my breakdown is accurate? 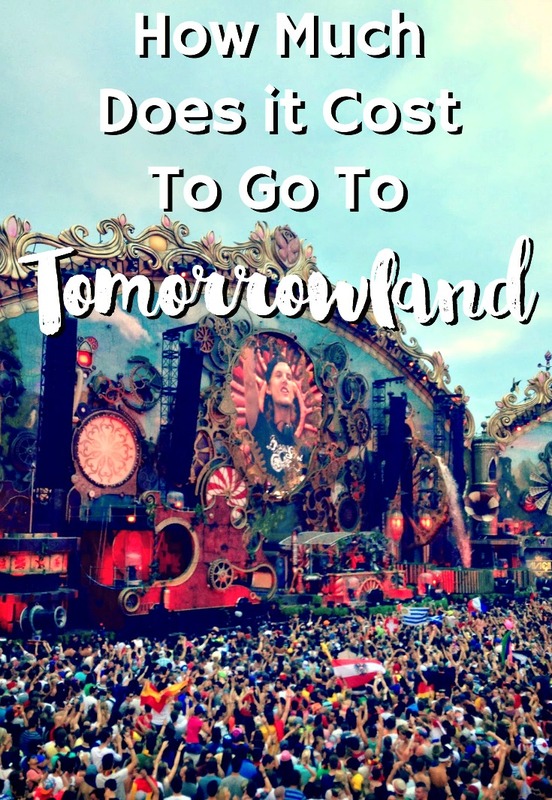 If you like this post check out my complete guide: How To Get to Tomorrowland 2016. Stay up to date with Tomorrowland and more by liking Helene in Between on Facebook.